The city partners with local district councils to organize annual community drop-off events for residents to properly dispose of large refuse items, recyclable materials not collected in the curbside program and share usable goods with others. Volunteers are always needed! Volunteers receive snacks, complimentary lunch, and a voucher for free disposal of one load of stuff. Call the organizing district council listed below to participate. General refuse, household construction and demolition, scrap metal and concrete will be charged by the size of your load. 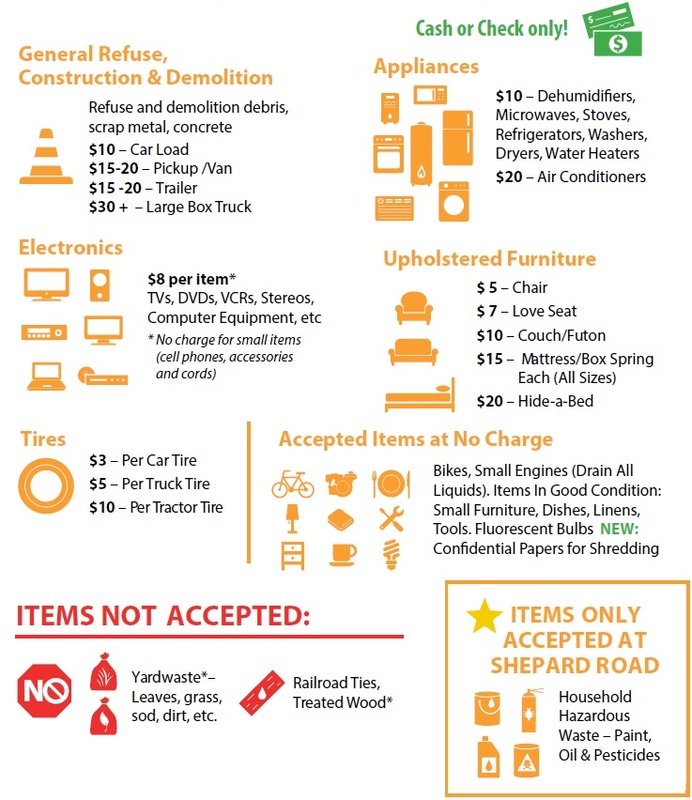 If you only have bulky items or items that require special handling (listed below) you will be charge for those only. If you have a mixed load, you will be charged for both. Be sure to check out the reuse area before leaving! Interested in volunteering? Call the organizing District Councils listed below to sign-up!